Day 6: The first fruit or vegetable you spot – Nick. Look in the kitchen and work with the first fruit or vegetable you spot. Just a quick one today, since it’s getting late and I’m back to work tomorrow. 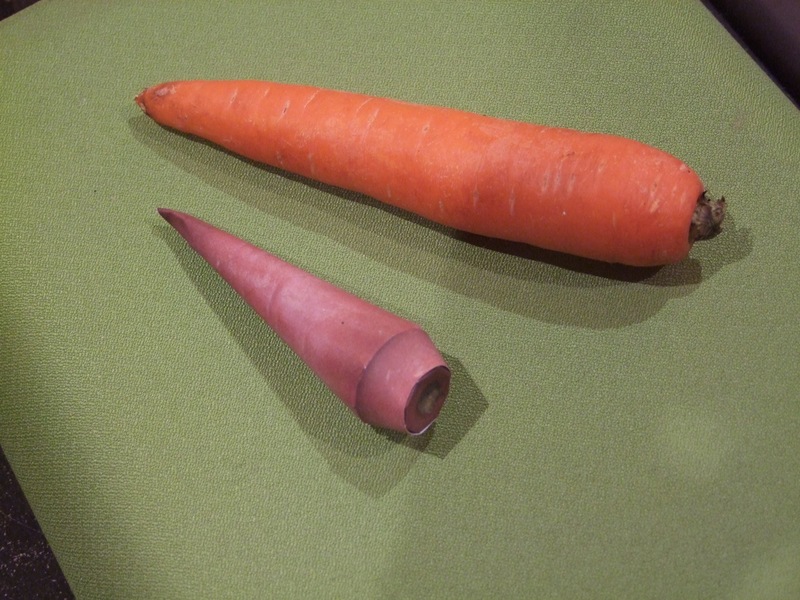 I opened the refridgerator and saw a carrot, so I made a papercraft version of it. This particular papercraft didn’t work out so well (I cut the shapes by eye and fudged some extra cuts when they didn’t line up). 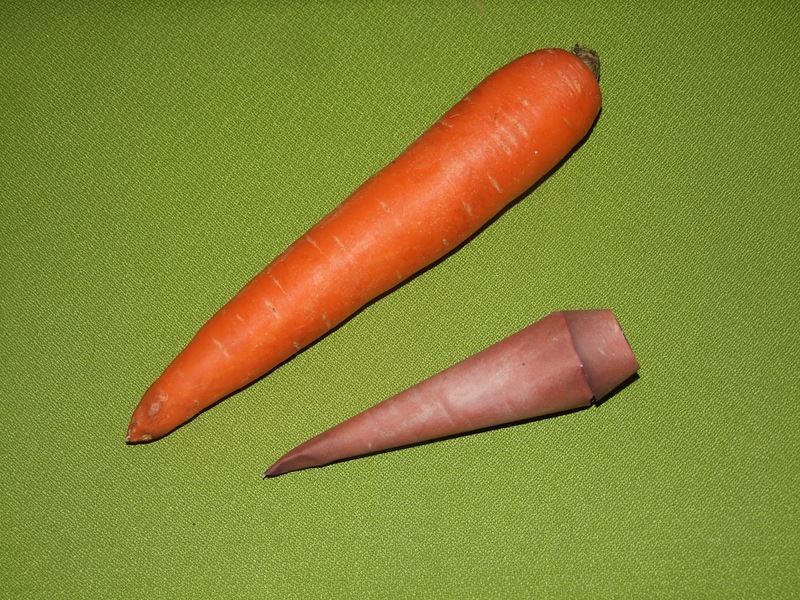 The most notable problem is probably the poor colour matching between the original (vibrant) carrot and the scanned-then-printed version. I may look into better calibrating the printer/scanner. Although I wonder if it’s more an issue with the process of scanning with the lid open. 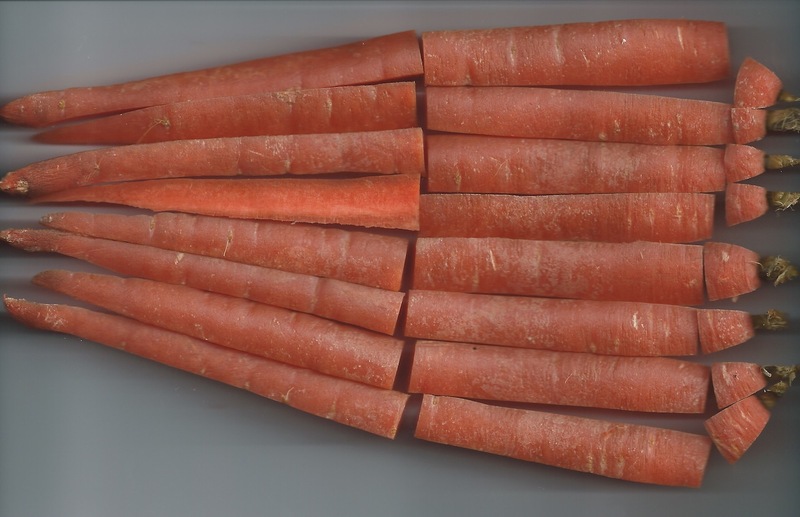 Maybe I could use something like a piece of plain white paper draped over the carrot while scanning, or just calibrate the colours by eye when editing the graphics. Hmmmm… next time! I reckon that approach will work quite well actually. Next time!